The following stats paint a loose picture of the amorphous entity of "Independent Farmer,” and situate it in the broader context of American agriculture. 97 percent of American farms are technically family-owned, but most don't check the boxes of small, local, and organic. Photography Sergey Zaykov on Shutterstock. 88 percent of American farms are classified as “small” by the USDA. You’d be forgiven for thinking “small” refers to acreage, but it actually means that the farm’s annual gross revenue does not exceed $350,000. Despite comprising the majority of farms, small farms account for only about 5 percent of net farm income in the country, while “large” farms – those grossing over $1 million annually – account for 56 percent of net farm income. 41 percent of small farmers turn a profit each year. They may make six figures in revenue, but the majority fail to break even. 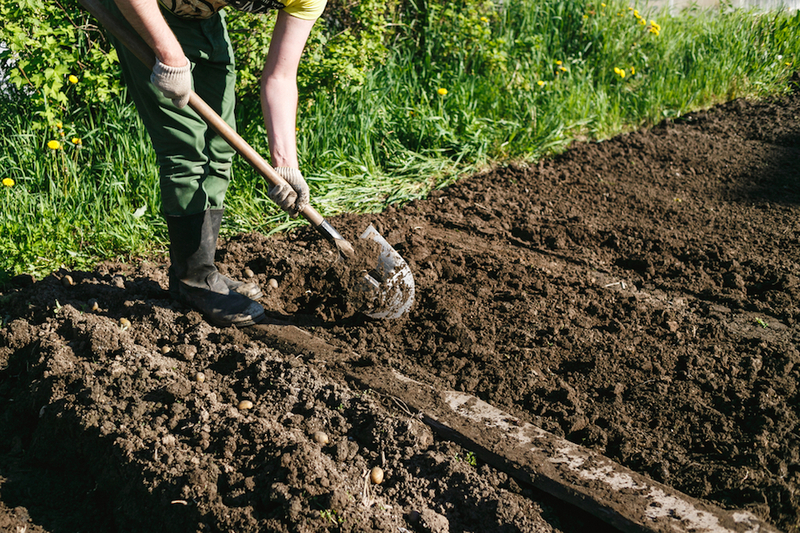 For this reason, 64 percent of small farmers also work another job. The average size of an organic farm is 285 acres – significantly less than the average for all farms, which is 444 acres. However, organic farms make up for their small size with profitability: according to one study, prices for certified organic crops are up to 35 percent higher than conventional crops. The average age of an American farmer is 58 years old. The average organic farmer is 52 years old, however. Even the average beginning farmer – those with less than five years of experience – is 47. On the whole, it’s not a profession populated by young people. 2,384 new farmers between the ages of 25 and 34 took up the profession between 2007 and 2012, the dates of the most recent USDA censuses. While that’s not a lot, it represents a 2.2 percent increase – only the second time in the last 100 years that the number of farmers that age has grown, according to the Washington Post. Meanwhile, the number of farmers in nearly every other age group has declined dramatically. 91 percent of female farmers bring in less than $50,000 in annual sales. The low revenue of female farmers is on par with most minorities. 86 percent of Hispanic farmers, 92 percent of Native American farmers, and 95 percent of African-American farmers grossed under $50,000 in 2012, compared to a national average of 76 percent for all farmers combined. Small farmers are responsible for 58 percent of the nation’s direct-to-consumer sales – including farmer’s markets, roadside stands, U-pick operations, and farm stores. In other words, small farmers tend to sell their wares locally, without middlemen. Small farms also account for 17 percent of organic sales. For perspective, only about 1 percent of American farmland is organic. 85 percent of farmer’s market vendors farm within 50 miles of the market where they sell their goods. For comparison, farmers that supply supermarkets reside an average of 1500 miles away from the stores that stocks their products. On average, American farmers receive only 17.4 cents of every dollar that store shoppers spend on food; but at farmers markets, growers reap more than 90 percent of food dollars. 67 percent of direct-to-consumer sales are from farms located in metropolitan counties. More than 80 percent of farms that sell food directly sell it to customers within a 100-mile radius of the farm. 38 percent of those direct-to-consumer farmers are women. This is more than double the percentage of women among the general farming population. Organic farmers are also more likely to be female than conventional producers are. California has 2,700 organic farms, which represents 20 percent of the country’s certified organic land and 38 percent of total organic sales. Only two other states have more than 1,000 organic farms: Wisconsin and New York. But the states with the least organic farming are catching up fast: organic sales in Kansas, Oklahoma, Missouri, Louisiana, Mississippi, and Georgia more than doubled between 2015 and 2016.